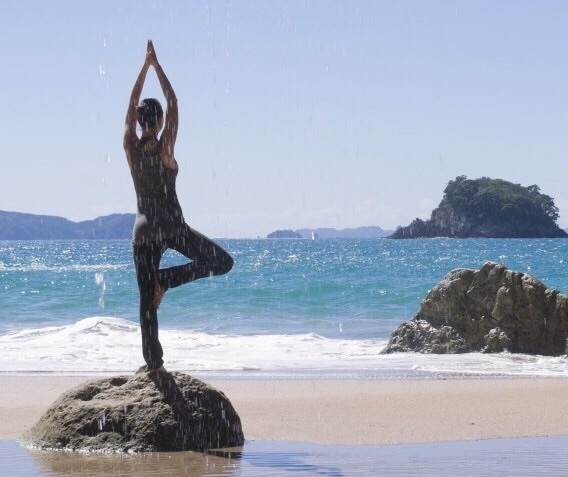 Yoga is an essential daily practice for me as a liveaboard cruiser; it keeps me limber and strong to be able to operate at my best physical condition, as sailboat living requires; and it promotes my physical, mental and spiritual wellbeing for myself and importantly to be the best partner to Rand. Taking 60-90 minutes first thing in the morning to practice yoga on the front deck of Golden Glow sets up every day to be its best. 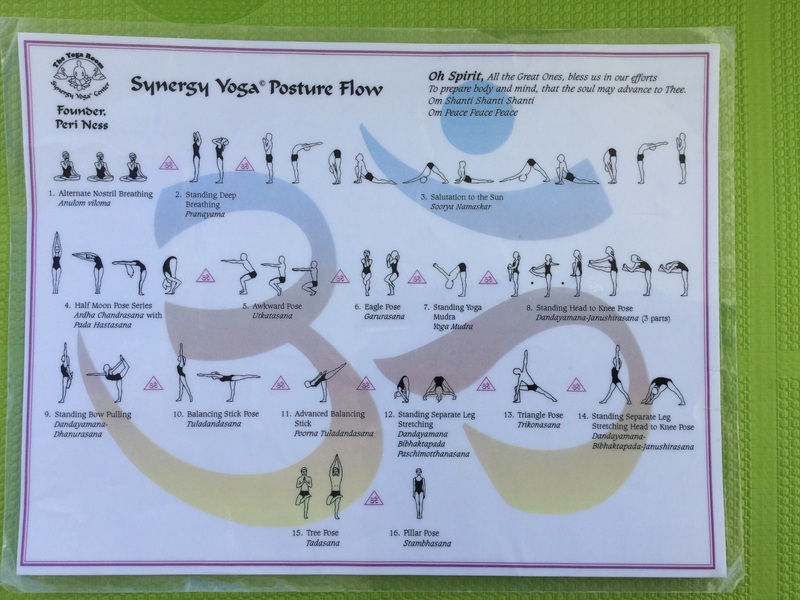 The kind of yoga I practice is called Synergy, developed by the wonderful Peri Ness DeFay. It is an offshoot from basic Bikram yoga, with lots of breath work, every posture-asana being performed twice, and a period of breathing (where the healing takes place) in between the asanas. 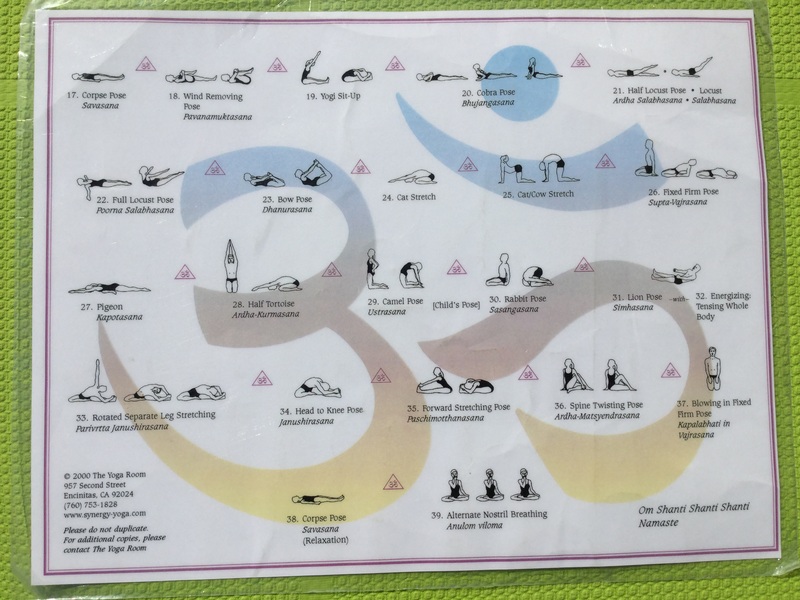 Practicing this yoga daily back in 2001/2002 in a heated studio (which adds the healing benefit of deeply purifying sweating) got me through the most challenging period in my life. If I felt blue, I would head off to yoga and by the end of the class, I always would feel better. Yoga on a sailboat at anchor brings the additional magic of looking out over the ocean and beautiful scenery. And of course there’s an extra dimension balancing while the sea gently rocks the boat. I often adjust where I’m standing to keep our furled foresails, the mast, or one of the sheets (lines) of our sails nearby to help me steady. Synergy starts with a chant: Oh Spirit, All the Great Ones, bless us in our efforts to prepare body and mind, that the soul may advance to Thee. Om Shanti Shanti Shanti, Om Peace Peace Peace.